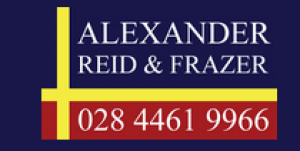 Alexander Reid & Frazer deals with all aspects of Land Law and Estate Agency, with services including Residential and Commercial Sales, Lettings, New Homes, and Management services ie estate and land management, farms, and building sites. Alexander Reid & Frazer are the main agents for the Dunleath estates, Annesley estate, Wallace estate, Trevor estate and the O’Reilly Blackwood estates. History Alexander Reid & Frazer was established in 1882 originally as Alexander Reid, with Frazer later joining in 1934. William Morrison & Son GE Press were established in 1892 and both firms amalgamated in 1971. The firm have always been professional with the Directors qualified either as Chartered Auctioneers or Chartered Surveyors. We aim to offer the highest standard of customer service and put every effort into selling your home. Each client has a designated sales negotiator appointed to take care of the sale of your home. Our website is kept up to date daily and our office is open from 8.00 am – 5.30 pm Monday – Friday and valuations can be carried out at any time to suit the individual.